Categories: All, Matcha, Iced Tea, Sencha Powder & Matcha Tags: organic Japanese matcha, organic matcha	SKU: MTA45-R. 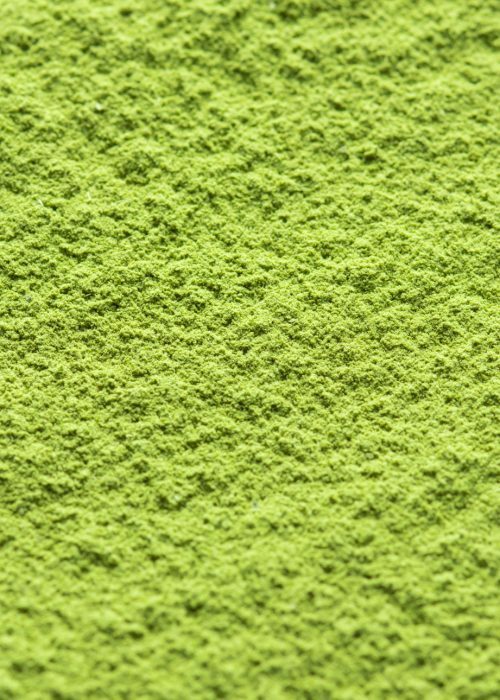 Grown in shade, Matcha green tea powder has more caffeine and more L-theanine, which is a natural relaxant, than any other type of the green teas. Matcha gives you more antioxidants than steeped tea, because you consume all the tea leaves in fine powder form. Our MATCHA serves well both as a traditional tea ceremony tea and as everyday source for steady energy and green tea health. Preparation: Mix 1/2 tsp powder with 6 to 8 oz of water, hot (150 – 175° F) or cold; stir well. Use a ceremonial bamboo whisk or a frother to froth it up–experience the silkiness of tiny green bubbles complimenting earthy freshness of MATCHA. Storage: Packed in a smooth black matte airtight tin (3.25″ x 3″). Store in a cool dry place away from any direct sunlight. For more information on storage click here. Container: The tin is composed of BPA free tinplate. This container is intended to be put in contact with any food products and is made of materials which comply to the FDA Regulations. This product is fantastic. I like it so much that I bought it for friends in Spain. I drink it cold and hot. It does not have usual bitter aftertaste that some matcha has, and my mouth is refreshed after drinking it. Another delight about this tea is that the customer service from Sei Mee Tea is incredibly good, efficient, and friendly. Thank you so much, Elena! We are so pleased to hear you’re happy with our product and service. Feel free to contact us anytime!